The WordPress.com stats helper monkeys prepared a 2013 annual report for this Enthusiast Photographer. I logged over 130,000 miles in the air this year, so I have to admit I didn’t get as much done here as I’d hoped but I did get to visit some amazing places and take some of my favorite photos ever. This is their summary – I’ll get one of my own up soon. This is as close to Nikon’s replacement of the D700 as we’re ever likely to see. I’ll write my thoughts up over the holidays (and catch up on some other things here on Enthusiast Photographer…) but I’d love to hear if anyone has any thoughts on it…. Five Things That Need To Happen If Micro Four Thirds Is Hoping To Take Over The World. Scott starts out saying he’s a huge fan of the format, but other than size and less fuss about vibration (MFT cameras don’t use a mirror like that moves during shooting like DSLRs do), why is MFT something I should consider switching to? Don’t get me wrong – size matters. When I’m traveling, the idea of getting high-quality photos from a much lighter kit than my DSLR requires is attractive. For street and candid photography, it is a lot easier to be discreet and unnoticed, which is hard with a DSLR body and a 70-200 lens hanging around your neck. But as I read Scott’s “Five things”, I’m struck by the question “Why” over and over. More Players: If there was a market, more players would emerge. Education: I’m a huge supporter of education, but it seems like this is another thing that is more of a “pull” than “push”. Also, how much different is the MFT world? Spokespeople: MFT has a good one in Scott, and I know Trey Ratcliff from Stuck in Customs has said mirrorless is the future (but he’s still primarily shooting on a DSLR – see my thoughts on that here). More of everything: (equipment, accessories, etc.) All I can say about this one is markets follow opportunity. Why isn’t it more popular? At the end of the day, there are always going to be niche markets. If a platform like MFT were compelling enough, the products would be on the shelf. There is a constant stream of cameras that come to the marketplace looking for the right combination of features. At the end of the day, I think there are things that are keeping the MFT platform solidly in the niche segment, mainly centered around price (MFT isn’t less expensive than DSLR) and performance. Comparing the Nikon D5200 against two poplular MFT cameras – the Sony NEX-7 and the Olympus OM-D shows both of these cameras as more expsensive, offering fewer lens options (hence Scott’s point above) and short on specs like ISO performance and dynamic range. Nikon’s V1 didn’t compare well, either. They are a LOT lighter, shoot higher FPS, have higher boost ISO, etc., but those are “niche-specs” for me. I’m also wondering if the format is capable of delivering the shallow depth of field/bokeh that is such a part of the creative process in some photographs. So other than performance-for-the-size, I’m not seeing a reason why I should consider switching – any comments or experiences are welcome! If you haven’t heard yet, this is yet another new camera from Nikon, and it is aimed squarely at Enthusiast Photographers. I’m on an airport bus in LA, so more thoughts later :). Being an Enthusiast Photographer has a lot to do with affordability. Most of us never make any income from our photography, so the equipment you own is mainly about enjoying the process of capturing images. And since I’m guessing most of you are like me, the amount of money you have to spend on that equipment is limited. There are lots of great reasons to own a long zoom. They help you get in tight on kids at recitals or on playing fields that are a long way away or the birds or animals that run away if you’re close. On my recent trip to Europe, I spent a lot of time taking pictures of what I called “texture” for a project my niece was doing, and having 200mm of zoom was extremely useful. 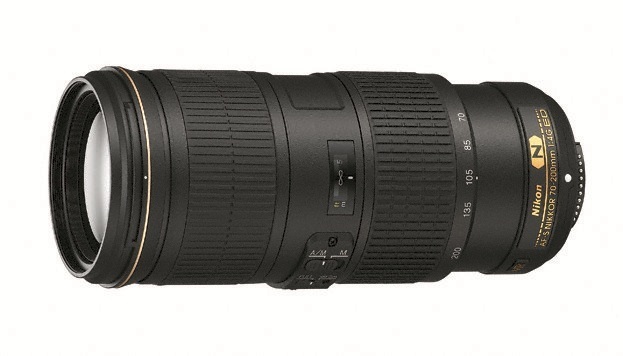 Nikon just announced a new zoom aimed directly at Enthusiast Photographers – the AF-S NIKKOR 70-200mm f/4G ED VR telephoto zoom lens. It offers a constant aperture of f/4 throughout the focal (zoom) range. This means that you can set the camera “wide open” for the best low-light performance and/or shallowest depth of field and it won’t change at all as you zoom, as apposed to my 18-200 VRII, which will automatically change to higher apertures as I zoom out, all the way to f/5.6 at 200mm. How big a difference is that? One full “stop” of light. That means at f/4 the camera has twice as much light to work with, allowing you to use a faster shutter speed or a higher ISO if you need to. Lots of people say “only one stop”, but for me twice as much is a big deal, and often the difference between getting the shot and *not* getting the shot. One stop of ISO performance is a lot in a body – the D7000 only has “only” 1.1 stops better ISO performance than the ancient D70 (though it has many, many other advantages!). 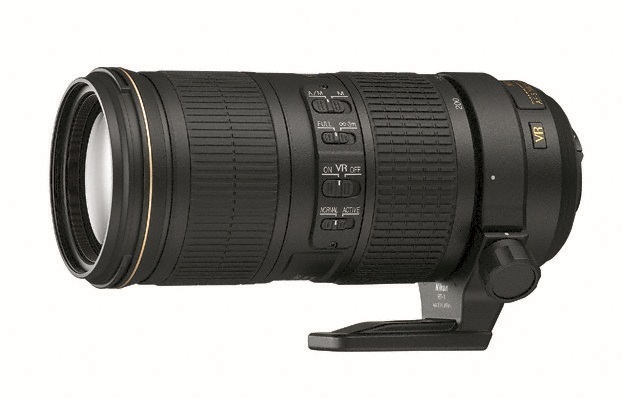 Anyway, I’ll let you read the Nikon page on the 70-200 f/4 for the specs and full details, and offer up my opinions. At $1399, it is a pretty pricey lens. Yes it has the latest generation of “VR” (Vibration Reduction) technology that will let you hand-hold at very low shutter speeds. I have to say that walking around Europe and Asia in low light with this camera and, say a D600, would have been a magical hand-held shooting experience. That is because for shooting stuff that isn’t moving at very low shutter speeds VR is a huge help, and you won’t need a tripod. Add that to clean files at ISO 6400 from cameras like the D600 and D7000 and you can have a lot of fun. One word of caution, however: it won’t help you nearly as much if what you’re shooting is moving. Also – it doesn’t have a tripod collar! The collar is what gives you a tripod foot for good balance and stability, plus allows you to rotate from “landscape” to “portrait” orientation (horizontal to vertical) without taking the lens off the camera). I’m sure Nikon’s logic was that VR means a tripod isn’t necessary, but there are plenty of landscape shooters shooting panoramic photos with a long zoom, bird-in-flight shooters and others who use a tripod a fair bit. Having this 30 oz/850g lens hanging off the body isn’t going to do much for stability on the tripod. 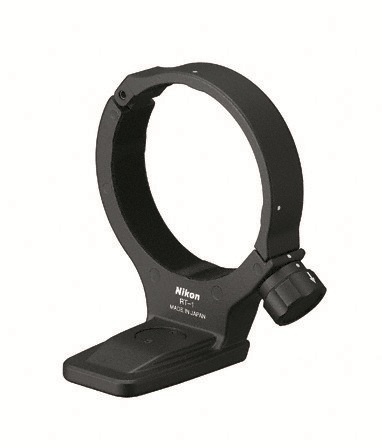 If you want a tripod collar, Nikon is happy to sell you one for $223.95 (who came up with that price?? For that kind of money, I’d wait and see what Really Right Stuff or Kirk come up with). That said, this lens is a much lighter alternative to the Nikon f/2.8 “pro” zooms – 30oz. vs. over 54oz. for the current 70-200 VRII and almost 52oz. for the older 70-200 VRI (so a little less than 1.9lb vs. roughly 3.4lb and 3.2lb). 1.5 pounds is a lot when you’re running around all day with it on your shoulder or back. Inside Nikon’s product line, that makes me look at the old 80-200 ED f/2.8, which is great “Pro” glass for under $1100 brand new. It doesn’t have VR, but fast glass makes up for a lot. Or you can find a nice used copy of the first generation 70-200 “VRI” that has stability control and is a terrific lens for about the same money as the new f/4 model (though it is slightly better for DX than FX, where the new lens is optimized for FX or DX). If you’re looking for affordability, the 70-300 VR is still a great lens for under $600 brand new and is even lighter than the 70-200 f/4 (a bit over 1.6lb), though it isn’t capable of the low-light performance. Outside Nikon’s product line, Tokina has announced they’ll offer a similar lens, though pricing and availability haven’t been published. Lastly, Tamron and Sigma have f/2.8 long zooms for similar money. These are generally well-regarded and are “faster”, though I have less confidence in Sigma’s consistency when it comes to quality (which is just a personal impression – I have no data to back that up and there are many Sigma owners thrilled with their lenses). User reviews of both of these makers tend to complain that low-light focus performance doesn’t match the Nikon-branded lenses. Should you buy one? Hard to say. If you have a D600, this lens is designed for you, and is as-good or better than anything out there for the price. I think the Tokina lens will be a very interesting and high-quality product, probably at $1299 (though it apparently doesn’t have a collar, either). If I had the money to buy a lens in this price range, I’d be a little flummoxed. Especially with the collar, there are a ton of options. The good news is any of the options will net you a really nice lens. Personally, I’d probably go with a used 70-200 VRI, though the weight and the likely quality of this lens would make it a tough call. If you’re debating about a new body vs. this new piece of glass, the old saying comes to mind – always invest in glass. Good lenses make any camera better (see my posts on fast glass and “should I get a new camera” for some additional thoughts), and this lens is good for any modern Nikon DSLR whether it is DX or FX. Please feel free to post any questions, thoughts or comments!! The team at DxO (who measure sensor performance for cameras across the industry) have published the scores for the Nikon D600, and the results look pretty darn good! (they use the term “enthusiast photographer(s)” many times during their writeup, which I thought was kind of fun, too… :)) Before we get to the benchmarks, you might want to see my post “Should I get a new camera?”. The overall DxO score of the D600 was 94, just one point behind the $2999 D800 and two behind the $3299 D800e. Pretty amazing. Even more incredible is comparing the $2100 D600 to the former-flagship Nikon D3X that lists for $7,999. The D3x scores only an 88 and is bested in every category. Of course, the D3x was no low-ISO king, so what about the other flagship, the king-of-the-night D3s? 82 vs. 94. The D600 doesn’t measure up to the D3s in terms of ISO performance, but crushes the D3s in dynamic range and color to claim the crown. Even the much-loved, former entry-FX Nikon D700 scores an 80. Wow. If you’re a Canon shooter, the news is even worse. While they don’t have a new 6D to test, the current 5DMkIII priced at $3464 scores only 81 and we have little reason to think that Canon would embarrass the fairly-new 5DMkIII with a 6D. One Important Note: These numbers aren’t the only measure of a camera by any stretch. In fact, I’d take the position they are very often used to place too much emphasis on the sensor when you really have to look at the entire system and make decisions based on handling, autofocus performance, lens compatibility, weather-sealing and other factors Iif you’re a regular reader, you know I hate the technology bullies who say you must have the latest sensor. I chose the D300s with pro handling and AF over the newer D7000 with the better sensor but prosumer AF and handling – I couldn’t be happier. For the record, the D600 has the same handling and (essentially) AF as the D7000. That is a good thing for a whole lot of people, just not my personal preference. I happily shot my similar-handling D70/D90 for years, though, so I’m not saying the D600 doesn’t handle very well – it handles great. It just doesn’t handle like the pro-handling D300s/D700/D800 – it is a tow-MAY-tow, tow-MAH-tow kind of thing. The Bottom Line: These numbers absolutely say that the D600 represents an amazing value. Nikon is hitting the ball pretty hard these days. The price of FX isn’t for everyone, but this camera sure lowers the cost of entry. If you’re a Nikon-shooting Enthusiast Photographer, this gives you a terrific price point for an easy-shooting camera with great durability and stunning performance. You can check out the full DxO write-up by clicking here. The subject of swirling rumors and debates for many months, the worst-kept secret in the photography world finally saw the light of day today: Nikon finally announced the first “prosumer” (my term) full-frame DSLR, the D600. Before we talk about the specs, lets talk about the price. Many rumors put it as low as $1500. I guessed it to be Euros and put it at $1899 or $1999. All of that was wrong – the price is $2099. That places it at the same price as the D700 did once the D800 came out, and potentially leaves enough room underneath for a D300s replacement. On the whole, I think it is a good price but not a great price. An additional $900 gets you to a D800, which will make a lot of people think (personally, I think the D800 is under-priced). Those last two have a lot of people up in arms, and frankly I can’t see why. This is a camera for the enthusiast. A body for the serious amateur photographer seeking the low light performance offered by a full-frame sensor. With ISO 100 and 1/4000, it covers a similar range as the D700 with a base ISO of 200 with a 1/8000 shutter. Want both ISO 100 and a 1/8000 shutter? Welcome to the D800. Ergonomics and autofocus are virtually identical to the D7000, which is a good thing. I’ve read some reports of the D7000 not working well with superzooms (think 600mm prime lenses as long as your arm), but I don’t see why people who own one of those lenses are going to shoot a D600. All the lenses the target customers will want to use will work perfectly on the D600. Ergonomics are classic Nikon, which is a good thing. Personally, I much prefer the handling of my D300s over the D7000, but it offers a great combination for the novice and advanced shooter. Since we don’t have comparisons, ISO performance and other figures, it is hard to compare the D600 to anything and come to a full conclusion. But it is probably very good. Nikon hasn’t laid an egg in a long time (I don’t count the D800 focus issues, since that is a quality control escape, not a product design issue), and this is a new category for them: They’ll hit the ball pretty hard and it will be a winner. Should you buy one? Harder to say. It isn’t cheap. You only get partial function from your DX lenses if you have any (there is a DX-mode that lets you shoot DX lenses, but I’d like to see it in use before I say that is something you’d live with happily…). If you don’t have any lenses, your bill for FX glass is generally going to be higher than DX. At 24MP, your holding technique had better be pretty good or it is going to show up big-time in your photos. 24MP is going to mean bigger cards, more hard drive space and chew up some performance on your PC. Low-light performance should be strong, and a well-executed image is likely to be very, very good. If the money isn’t a big deal, I’d say you can’t go wrong. FX at this price point is a bargain, and you’ll get plenty of help from the camera to get great images. But like my last post, I don’t ever want to have a great camera and poor lenses. Being glass-poor is going to make any camera look bad. Great glass is going to give you wonderful results even from a limited camera. You might have noticed I haven’t mentioned video. Call me a curmudgeon, but I have no desire for video on my DSLR, and frankly I don’t know enough about it to offer perspective or opinions. I’m sure the internet has no lack of those for the video features. 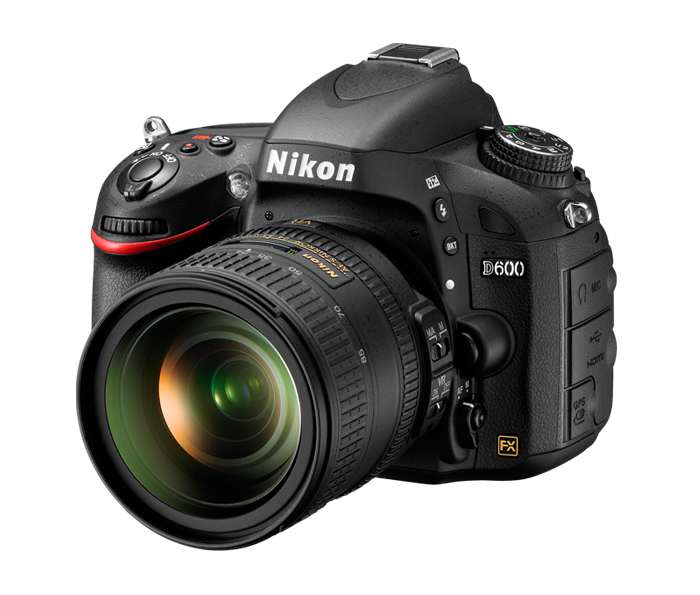 I’m sure a lot of you will be happy owners of a D600, and it is likely to be a big success for Nikon. As for me, I’m focusing on the equipment I have, and looking at the blank spot in Nikon’s product line where the D300s used to be. If I was going full-frame, I’d be strongly tempted to pick up a used D700, but I’m a happy DX guy at this point. Read the official press release, information and see many photos on Nikon’s website. 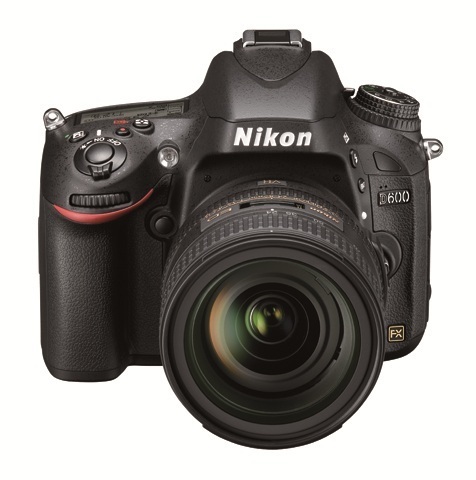 Also, check out dpreview.com’s preview of the D600 here. So what do you think about the announcement, the price and the camera?